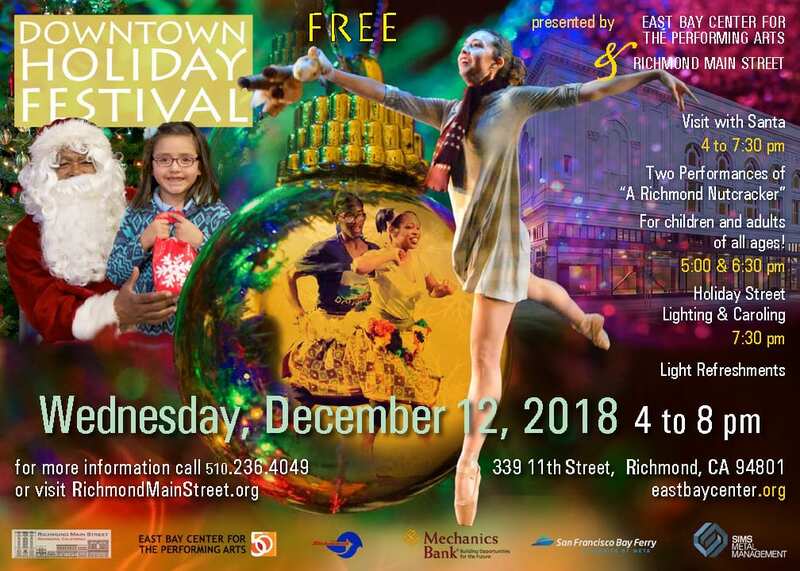 Is one of Richmond Main Street Initiative’s longest running annual events. 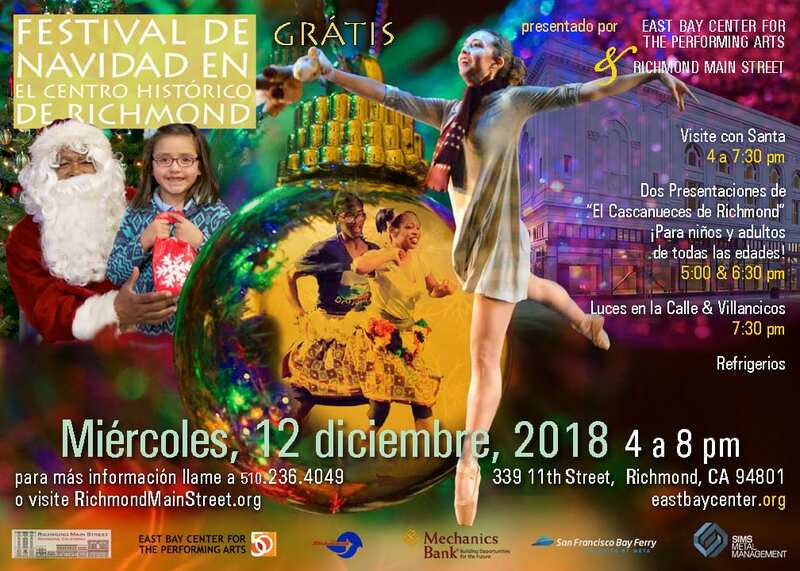 Beginning in 2012, Richmond Main Street and East Bay Center for the Performing Arts formed a partnership to bring this special event filled with yuletide cheer to the community. Thanks to the help of countless volunteers, we transform the Center’s beautifully remodeled facility—the historic Winters Building, located at 339 11th Street—into a winter wonderland. 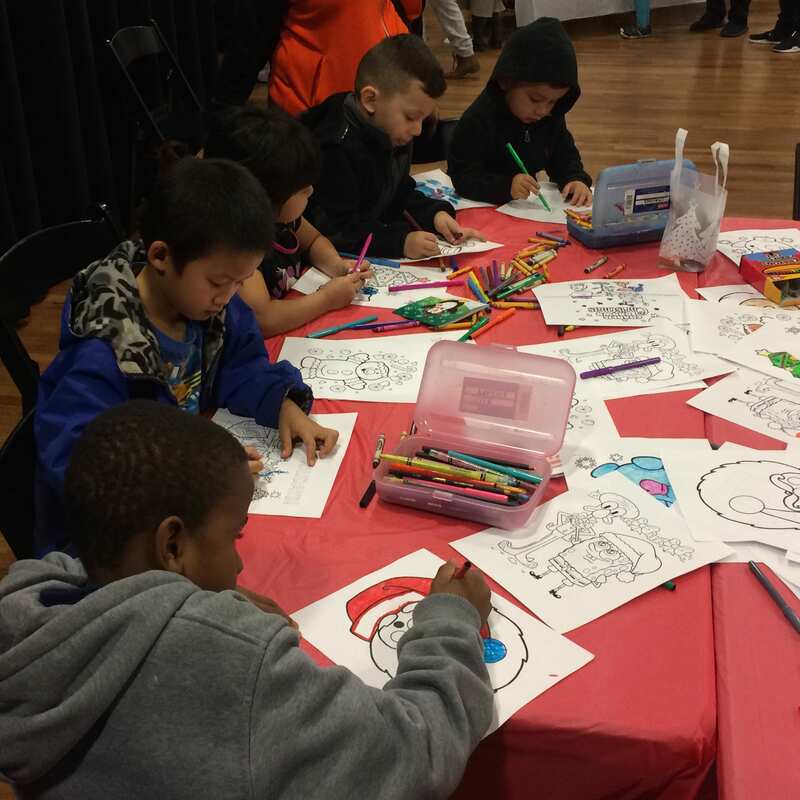 We invite families from the Iron Triangle and surrounding communities to participate in a unique holiday celebration complete with festive music, spectacular, seasonal family-friendly performances, tasty snacks, group caroling, the magical illumination of Macdonald Avenue, and a memorable visit from Santa Claus. 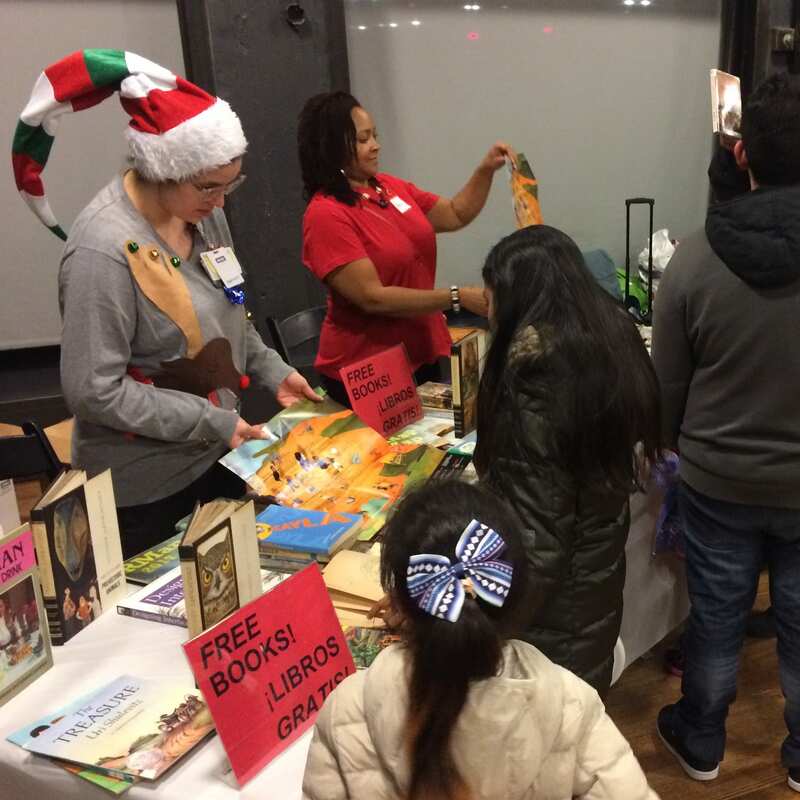 This year’s Downtown Holiday Festival was truly magical! 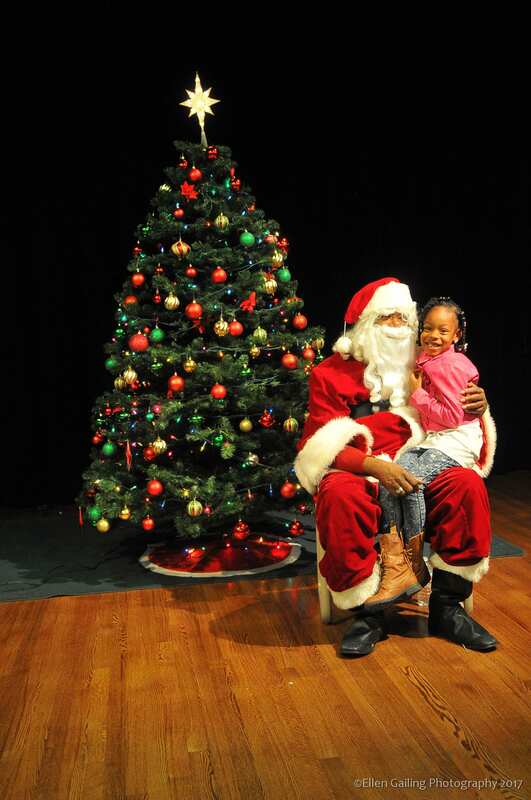 400+ kids visited with Santa, 2 Richmond Nutcrackers, 1 extra magical street lighting, and countless beautiful moments! 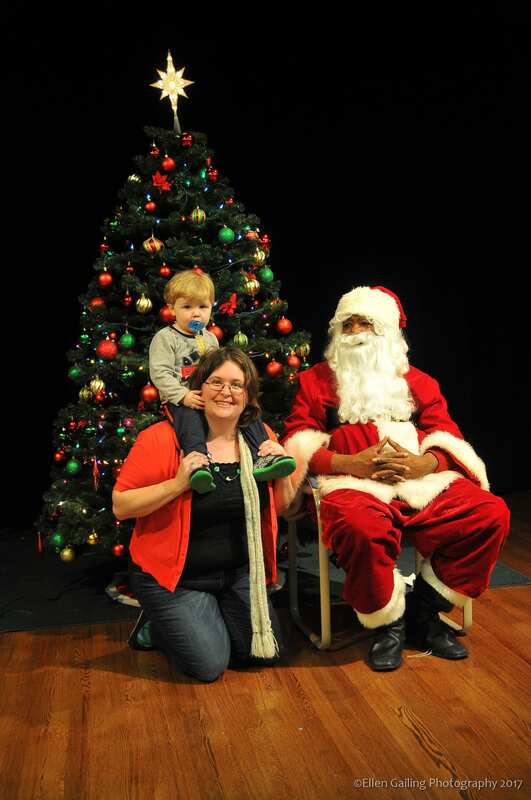 Keep your eye on our Facebook page for pictures from the Downtown Holiday Festival, available to view and download by this Wednesday, December 19.